Amy is a certified swimming instructor who has been teaching at the Wellness Center since it opened in 2000. She also coached Trinity Swim Team for four years. Teaching beginner swimmers is her favorite aspect of the job but she is also experienced instructing older swimmers in stroke improvement and teaching children with autism. Maria teaches group lessons for children and private lessons for adults and children. She also leads group exercise classes, including H2O Challenge and Aqua Flex. Before starting to work with individuals, she spends time talking with them about their goals, current ability and any special challenges they face so that she can tailor lessons to their specific needs. Maria is a self-taught swimmer who grew up in Germany. She raised two daughters who both swam competitively. She served as a swim official and eventually earned her Water Safety Instructor Certification. Out of the water, she also works as a spin instructor. Morgan recently graduated from Thiel College earning Bachelor’s Degrees in Accounting and Business administration. She was previously a competitive swimmer for 10 years. Morgan also played volleyball for 12 years including 4 years at the collegiate level. She has been an American Red Cross certified lifeguard for 7 years. 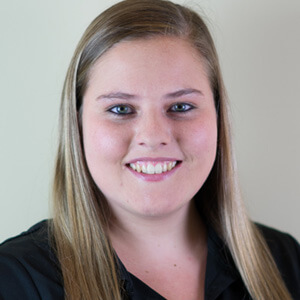 Morgan worked at the Wellness Center as a lifeguard for 5 years and began teaching swim lessons 4 years ago. 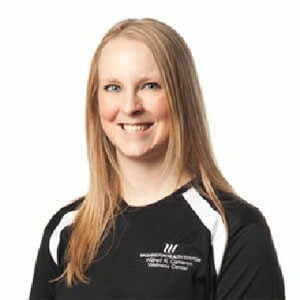 Morgan has extensive experience teaching children and adults of all ages and ability levels. She enjoys sharing in her client’s joy as they become accomplished swimmers. Deirdre has been swimming since she was a year old. At the age of six, she began to take swim lessons at Sunset Beach Swimming Pool and then took lessons here at the Wellness Center! In middle school, Deirdre was on the Elmhurst swim team. She has been working at the Wellness Center for two years and back in the pool for one year as a lifeguard. In March of 2018 she began to teach swim lessons. She is a graduate from Duquesne University with a bachelor’s degree in music performance. 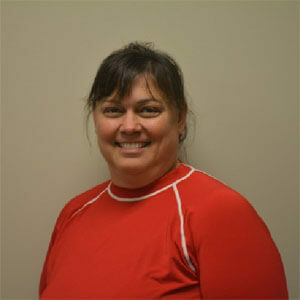 Mary Skiffington has been working as an Aquatic Instructor since 2006 at the WRC Wellness Center. She has been swimming most of her life; for pleasure and in competitive swim. 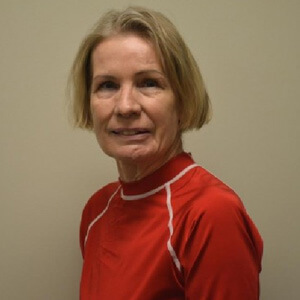 Mary has been trained as a Water Safety Instructor, lifeguard and water aerobics instructor. 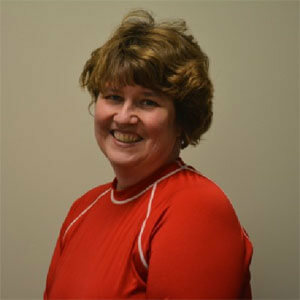 She has been an assistant coach for a summer pool in Sharon, PA. Mary specializes in stroke efficiency and technique and helps lead many swim clinics at the WRCWC. Mary loves being in the water and brings an ease to her clients. 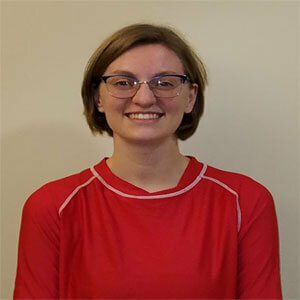 She loves teaching all ages from young inexperienced swimmers, competitive swimmers, and adults. Mary tries to make everyday a new experience. Katie graduated with dual Bachelor’s degrees in Exercise Science and Physical Education from the University of Mount Union in Alliance, Ohio. She has served as a swim coach, swim lesson instructor, water aerobics instructor, swimming strength and conditioning coach and competitive swim lesson instructor through the last 15 years. Katie is a certified pool operator through the National Swimming Pool Foundation. She has also served a certified personal trainer with the American College of Sports Medicine for ten years and has worked in fitness management where she was a wellness program developer for children, teens and adults. Katie also teaches a variety of group exercise classes and holds her Kettlebell Cardio Certification. Jillian has been a swimmer for as long as she can remember! 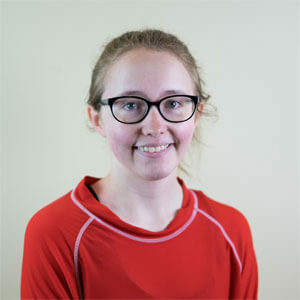 From swim lessons at an early age and from competitive swimming all the way from elementary school until college, she has always found herself in the water. She enjoys teaching others to swim especially with the occasional water aerobics class. Jillian has experience with all ages from young children, competitive swimmers and adults.